In an earlier blog post, we established that one of the golden rules of audio recording is achieving a good signal-to-noise ratio, and that one of the best methods for doing this is to position the microphone as close to the sound source as possible. Camera-mounted microphones may be great for busy run-and-gun situations, but when critical dialogue is involved, they just simply cannot get close enough for a lot of applications. This is where boompoles come into play. Though a number of factors may influence the limitations on mic placement potential, the overall preferred method is to boom from above, or below if absolutely necessary. Booms are a commonly used piece of sound equipment that allow you to position the mic close to your subject while staying just out of shot. Though a number of factors may influence the limitations on mic placement potential (for example, the chosen camera frame and the overall design of the set), the overall preferred method is to boom from above, or below if absolutely necessary. You should never record from the sides. Holding the boompole above shot ensures that the optimum pickup area of the mic is directed towards the subject's mouth, and then towards the ground - which we assume won't be generating much noise. This will give you natural-sounding dialogue, which is well-isolated from the ambience of the surroundings. In addition, the boom and mic will both be well out of the actor's way, leaving them free to roam the scene and not feel distracted by the sight of it. If you absolutely must boom from below, ensure you switch off any noisy air conditioners or fans that will almost certainly be picked up by your microphones in an indoor setting. When listening back, you may find dialogue more bass-heavy after being captured from beneath. This is to be expected from alternate mic positions, so be prepared for a little extra work in post production to match the tone of your other dialogue to this take. As for booming from the sides, this is not standard practice. There will naturally be a lot of ambient noise in a horizontal plane, which will sit in line with your actors and mic in this placement situation. This noise will definitely make its way into your recording, ruining your ideal signal-to-noise ratio. Manufacturers such as ourselves understand that nobody wants to support a heavy object above their head all day long. This is why booms are generally constructed out of aluminium or carbon fibre, to keep weight minimised. The RØDE Boompole, Mini Boompole and Micro Boompole are made of the former material, while the RØDE Boompole Pro and Micro Boompole Pro are designed with the latter. You'll find it much easier to support weight that is close to your body, rather than further away. For this reason, it is best to keep your arms close to your head, and hold them straight up. Use your front arm as the main pivot point and lock your elbow to support the majority of the boom's weight. Try to position your hand as close to the centre of the pole length as possible, to give you a better centre of gravity (though this may not be possible if the pole is fully extended). As for your rear arm, you can use it to steer or angle the boompole as required. 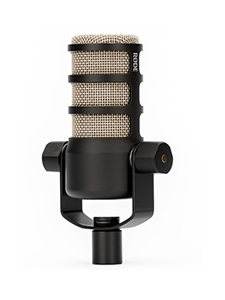 Grip it firmly, but not tightly, and be sure not to tap or rub it, as this will transfer unwanted sound to the mic. One great way to manage your mic height is to have visual cues marked in your head as to where the edge of frame actually is. If possible, hold your boom parallel to the floor and high above your head, using both arms at a similar, comfortable height. This will ensure it does not enter the corner of the camera's frame, which it could do if you were to hold the pole at a steep angle. Of course, you don't want the tip of the mic to fall into shot either, so pay attention to any fatigue that might cause you to slowly lower it. One great way to manage your mic height is to have visual cues marked in your head as to where the edge of frame actually is. Ask the director of camera operator to work out your lowest possible mic position prior to filming a take. Once established, take a mental note by using objects in the background as your guide. These could be the top of a building in the background, a window frame nearby or anything else you can easily see. You will also need to run an audio cable from the mic, down the length of the boom and finally to your digital audio recorder. This cable is important, and needs to be both neat and tidy - not just for aesthetic reasons, either. Good cable management will reduce any possible handling noise caused by it tapping against the boompole, and won't hinder your movements by becoming tangled. Some booms allow you to run your cable internally through the pole, and some are even sold with pre-installed cables already inside them. These 'cabled' boompoles feature a coiled audio cable with XLR connectors at each end, perfect for quick connections to your mic and further cables to then run to your audio recording device. A major advantage of cabled booms is the faster, easier setup time - great for high-pressure gigs such as news gathering, where you may need to react quickly to a live situation. Disadvantages, however, include a higher overall weight through the pole, no choice of audio cable type to use (you are stuck with what it comes with) and the possibility that the cable may rattle, causing unwanted handling noise. 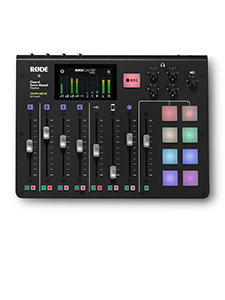 The RØDE Boompole, Mini Boompole and Boompole Pro feature removable end caps, allowing you to install a cable of your choice neatly inside them. 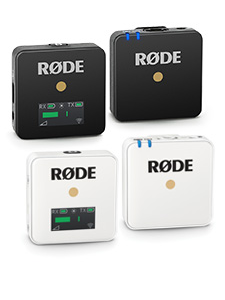 If you want to run the cable of your choice externally, RØDE Boompole Clips are available to ensure it is wound tight against the pole exterior, but can be removed or have its position adjusted easily. Velcro strips can also be used to hold a cable securely. Stay tuned for a future post about microphone selection and other gear requirements for indoor and outdoor dialogue recording!